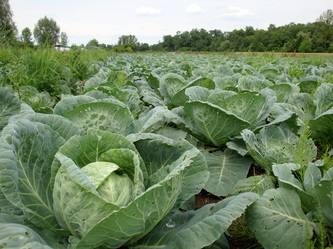 Photo : Cabbages in the field with magnetoculture with beewax capacitors. The yield was threefold the usual yield. 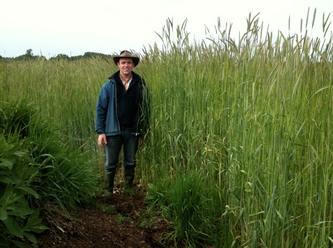 This is a photo on 10 june 2009 or 2 months before the yield date. you see the treated field and one untreated field. 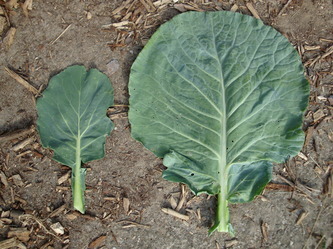 Photo : 2 cabbage leaves, one left from the untreated field, one right from the treated field. 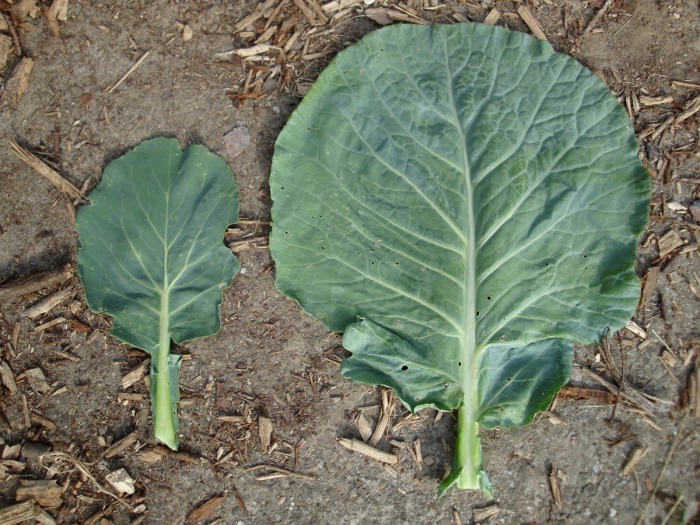 Photo : One month later the cabbages were again a lot bigger, the growth was very nice and their were no sicknesses, they stay in good health the whole grow period. 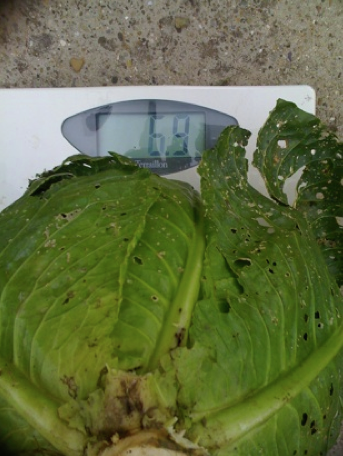 One month before yielding, we have weight one cabbage and it was already more then 6 kg. 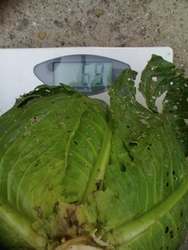 At the end, on yield time the cabbages were arriving between 6 and 9 kg each in the magnetoculture field and between 2 and 4 kg in the controll field. Place : region of Alsace in France. So i added a little DC voltage to my tomatoes. In blind luck, it worked ! Now 2 years later, i'm still trying to understand why. He developed now a solar panel electric plant stimulation system. 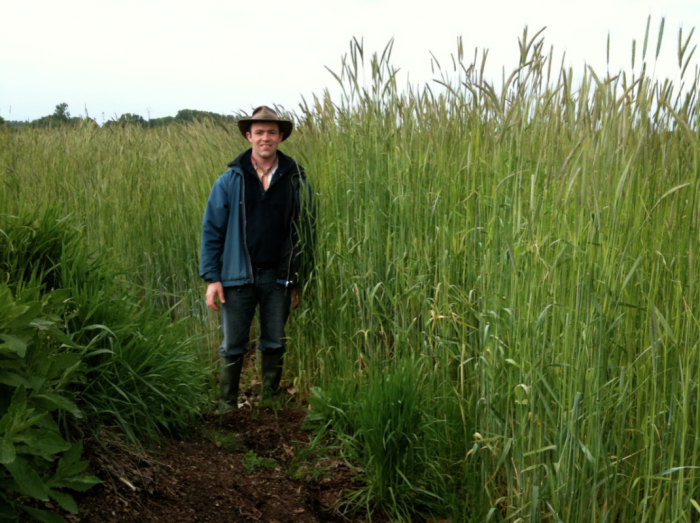 Photo below : This is me next to spelt or old variety of wheat. 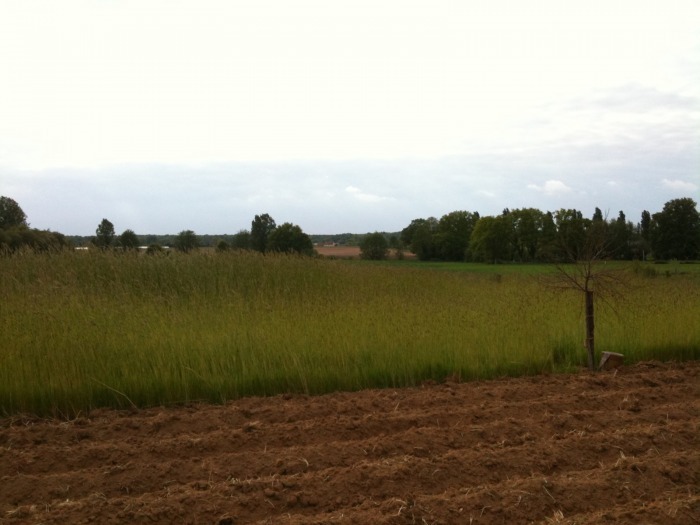 The photo next to it you see on the right side the untreated where the spelt is only one meter heigh and at the left you see the treated plot where the spelt is already at the level of more then 2 meters heigh. I'm 1 meter 80 heigh, you can compare. The soil was treated with home made electroculture terra pretta. This is black carbon from the fire of wood at low temperatures, this carbon is a very good electricity conductor, it stimulates all life processes in the soil and plant growth for several years. Photo taken next to Angers in France at an organic farmer in beginning of may 2010.